There’s a whole lot of splashin’ fashion happening at Disney Store, where the swimwear season has kicked off big time just in time for everyone looking forward to a winter or spring vacay with the family or already prepping for summer fun beach vacations. “We know a lot of Guests plan trips during the winter and spring breaks, so we offer a great selection of swimwear early,” says Nancy Gonzales, Global Product Strategy Manager for Swim and Swim Accessories at Disney Store. 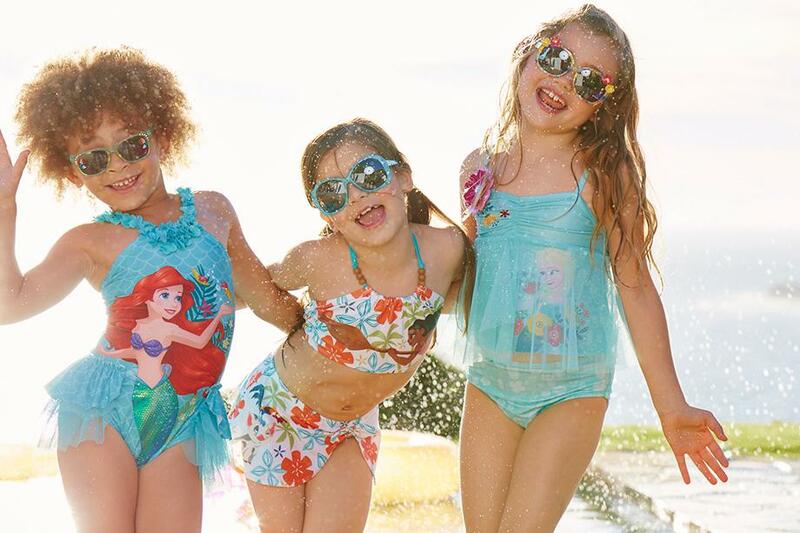 With so many new, fresh, and fashionable Disney swimwear designs for everyone from your littlest tadpoles to tweens and teens, your biggest challenge will be deciding which styles to pick. We can’t cover all of them here, so consider this a sneak peek. Who will we see for girls in 2017? Disney’s new heroine, Moana, of course. “We’re super thrilled about Disney’s new Moana swimwear designs,” Gonzales says. What about a monokini with a sassy cutout that Gonzales calls “stinkin’ cute” or a halter top with sarong wrap bottom —a new silhouette this year. Colors are citrusy, fresh and bright. Plus the brilliant designers who know all about the challenges of herding kids from playtime to mealtime have introduced a new dress-style cover up that slips on easily for faster lunch breaks. Pull it on and off you go. Naturally, Anna, Elsa, Minnie and Ariel are getting their time in the sun. There’s also a Disney emoji for older girls featuring adorable emoticon-style Disney characters including Mickey, Minnie, Dory and the Cheshire Cat against backgrounds of hot bright stripes or sophisticated black. Plus—and this is a fantastic first—you will find Marvel and Star Wars™ designs for girls. The Disney emoji, Marvel and Star Wars suits will be released in March 2017 — so be on the lookout! Boys have it great in 2017, too with all new Disney swimsuit patterns featuring Maui from Moana, Spider-Man and other Marvel characters, Star Wars, Mickey and the Roadster Racers and a sneak peek at some of the new characters from the upcoming Disney·Pixar film, Cars 3. On the toddler swimwear side, The Lion Guard is ready to pounce and play. Later this year, keep your eyes peeled for designs featuring Pirates of the Caribbean. The store designers are also introducing a new fit – surf-style with leaner, shorter legs. It’s not only super comfy, it looks way cool. Surf’s up, dude! 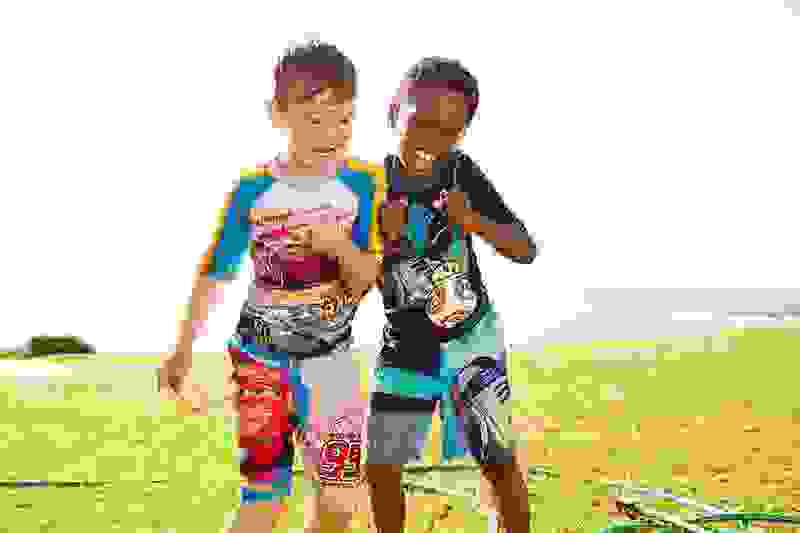 If you’re looking for swimwear you might also need summer fun gear, and you can find it all from towels to sunglasses, flip flops, beach bags and more at Disney Store and DisneyStore.com. It may be snowing where you are right now, but Summer 2017 is right around the corner. See you at the beach!